It used to be that when I would google myself, I’d find that I made donations to Kościuszko Foundation (to fund programs which sent dancers to study folk dancing in Poland); Chicago (University) House (to fund restoration of antiquities in Egypt); or my alma mater, Villa Maria Academy (to keep their library stocked with Polish cultural material). 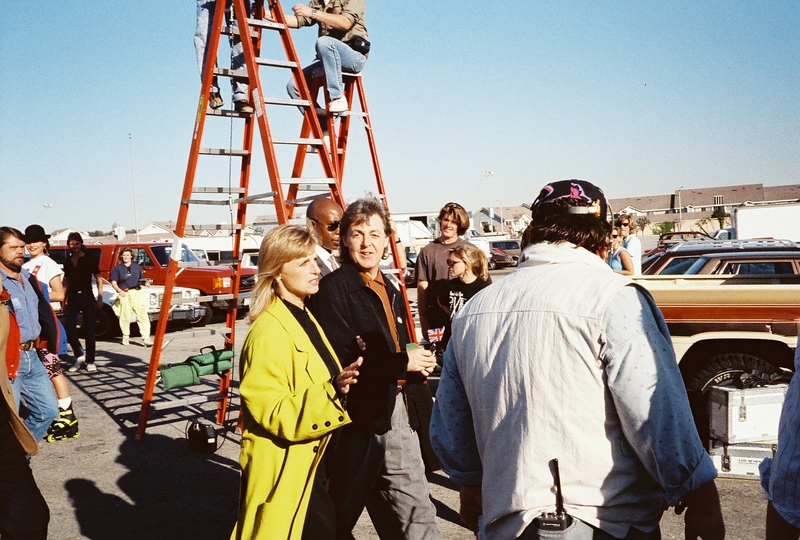 The other day, however, when I was googling myself to see what I, and my name-sakes, were up to, (yes, there are several of us), I stumbled on a blog about me, and the Paul McCartney VISA commercial I was in !! 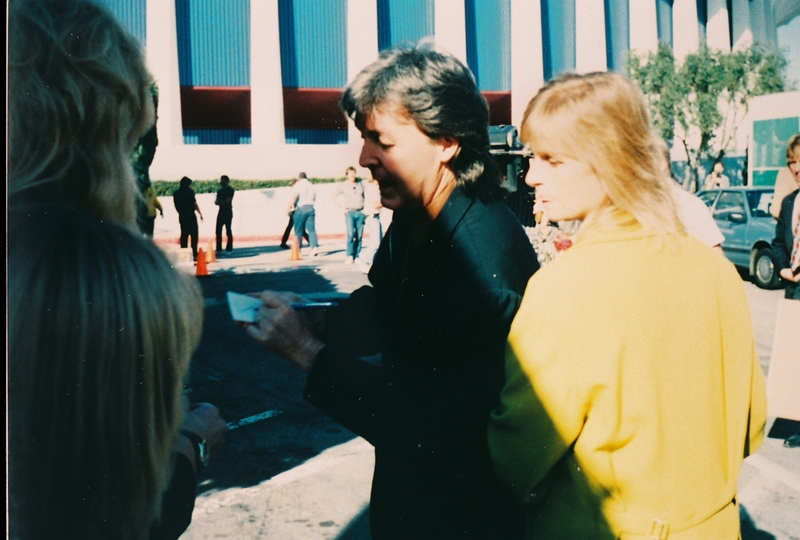 The blog “Meet the Beatles for Real” reprints photos and an article I wrote for a fan magazine back in 1989, detailing the shoot: Six (6) takes with Paul walking or driving past those of us who pretended to be “fans”, signing an autograph for me, accepting a rose that I gave to him, and holding my hand!! Not to be out-done, I decided to tell the rest of the story. It begins way back in 1963, on a wintery December day when I was out walking with my father. My father, who loved hiking, would usually take me, his oldest child, along with him. 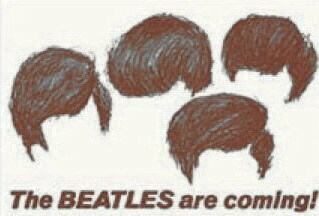 As we huddled in the doorway of a record shop to get out of the cold, I noticed these little stickers in the window, saying “The Beatles are Coming”, with 4 little wigs. Of course, I had not yet heard of the Beatles, so I was reading it, ‘Beat-less’. But then, on February 9, 1964, when the world stopped to watch the Beatles on the Ed Sullivan show, I fell in love with Paul McCartney, as he sang, “All My Lovin’”…. and the rest is history. The Beatles never performed in Buffalo, NY, though they did come to Toronto in 1965. Buffalo radio station WKBW had a bus going to the concert, and all you needed to do was collect bottle-caps in order to go along with them. 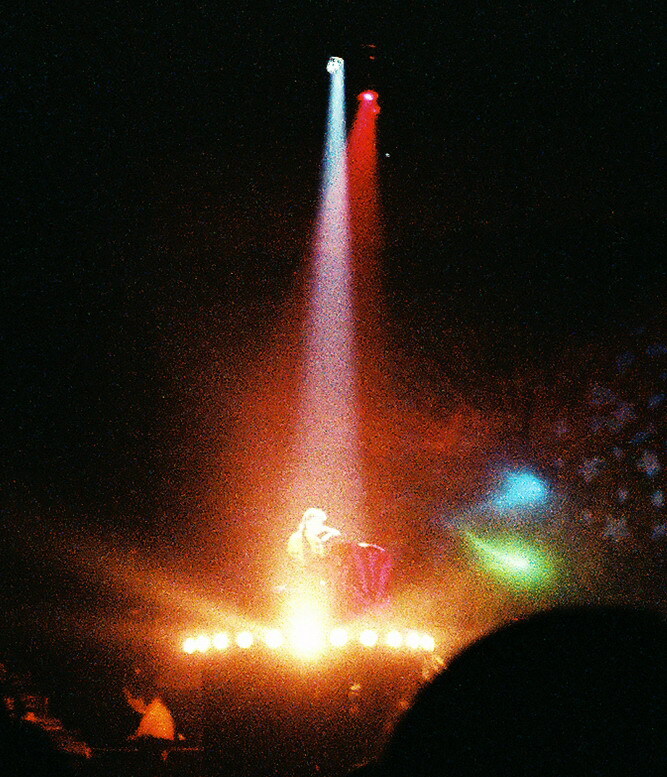 However, my parents said that, at 12 years old, I was too young, so I never got to see the Beatles perform together live. Meanwhile, I had vowed that someday I would become a disc jockey so that I could interview the Beatles, and 25 years later, my dreams finally come true. First it was Ringo and his All Starr band. 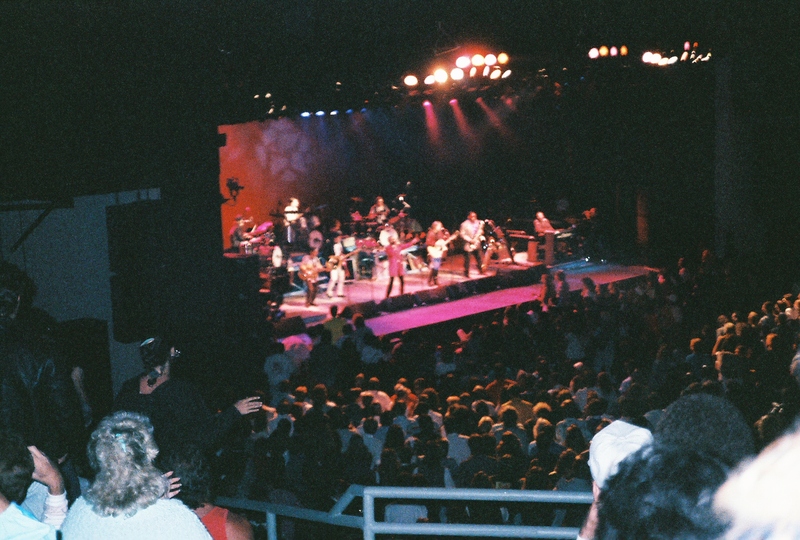 I saw them in Buffalo and in Los Angeles, where I got to go back stage. Ringo and his wife, Barbara, walked right past me !! 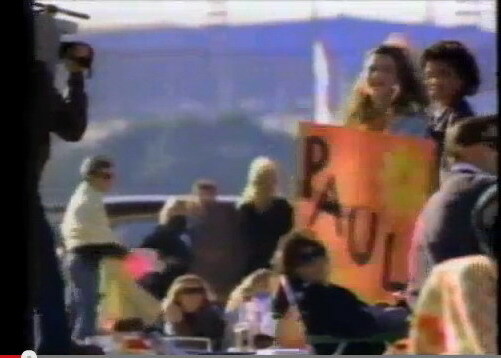 I got to play a Paul McCartney fan in a VISA commercial he was filming, in Los Angeles. 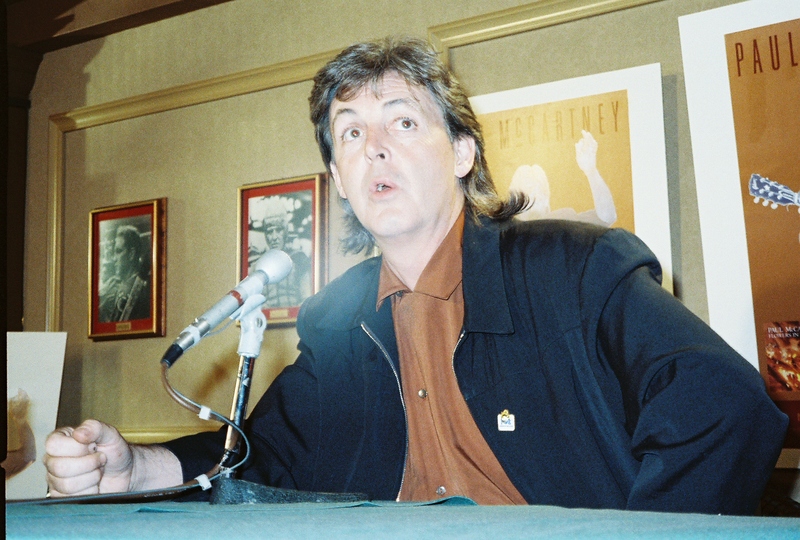 Then later that day, as part of a TV News crew, I asked Paul a question at a Press Conference. 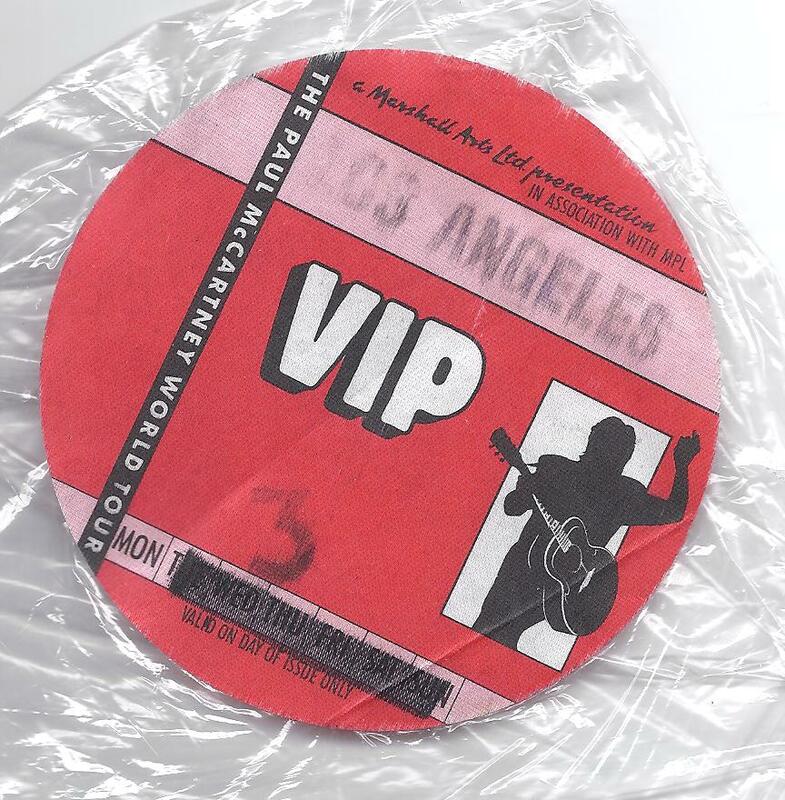 The day ended with his concert, and a VIP backstage pass. Sadly, however, I did not go as planned to the China Club after the show, because it had been a long day for me. Turns out that George Harrison had been there, so I missed seeing him. My love affair, however, with the Beatles continues. 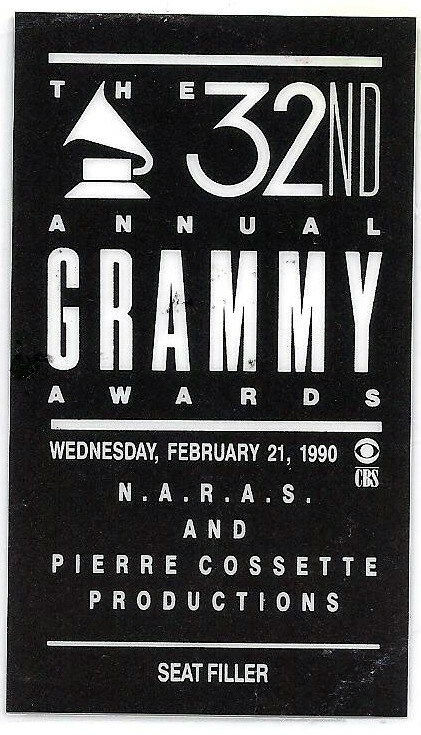 I have seen Paul McCartney perform a few times, and I even got to be a seat-filler at the Grammy Awards where he received a Lifetime Achievement award. And so it goes…. The Moral of the Story is: dream big, because dreams do come true. 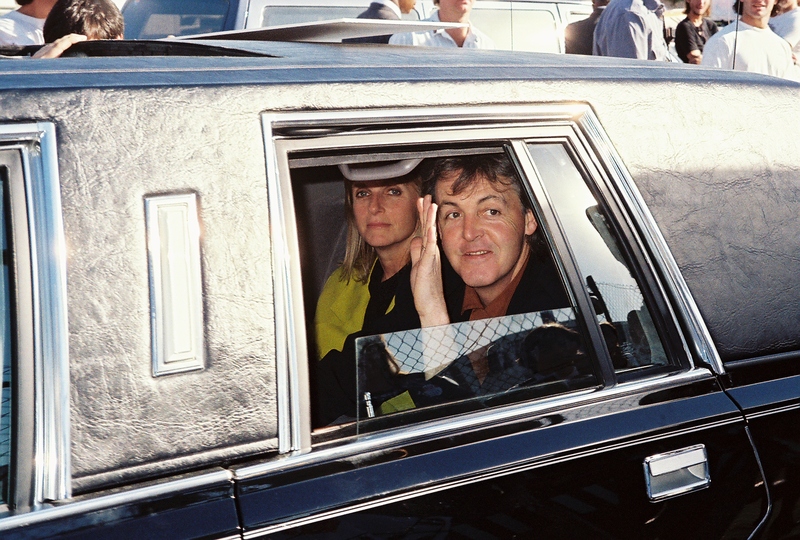 Gallery | This entry was posted in Music and tagged Beatles, Paul McCartney, VISA. Bookmark the permalink.